The World Health Organisation (WHO) has published a new guideline recommending that adults and children reduce their daily intake of free sugars to less than 10 per cent of their total energy intake. The guideline recommends a further reduction to below 5 per cent or roughly 25 grams (6 teaspoons) per day would provide “additional health benefits”. The guideline has met with mixed reactions. While the guideline has been generally welcomed by global health experts, it has drawn some criticism from food and beverage manufacturers. The final recommendation follows an earlier public consultation on a draft recommendation, which Australian Food News reported in March 2014. More than 170 comments were received from representatives of government agencies, United Nations agencies, nongovernmental organizations, industries and academic institutions as well as other interested individuals. An expert peer review process was also undertaken in 2014. The final guideline was prepared taking into account comments received from the public consultation and expert peer review. 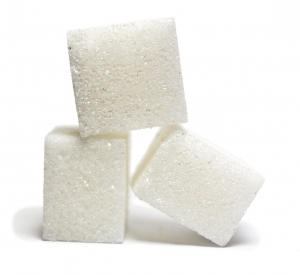 The Australian Beverages Council has responded to the WHO’s announcement that the daily recommended added sugar intake be further reduced to below 5 per cent for ‘additional health benefits’, labelling the claim both “unsubstantiated and unachievable”. The Australian Beverages Council membership is comprised of over 120 companies in the beverages industry, including those involved with the manufacture, franchise, and distribution of products, as well as those who supply and provide service to the industry itself. Member companies include Coca-Cola Amatil, Coca-Cola South Pacific, Bickfords Australia, Bundaberg Brewed Drinks, Heinz Australia, Mildura Fruit Juices, Mountain H2O, Nudie Foods Australia, PepsiCo Australia, Red Bull Australia, Saxby’s Soft Drinks, So Fresh Gippsland, and Schweppes Australia. “With a public health challenge as serious and complex as obesity, we must ensure that policy decisions focused on public health are based on the best scientific evidence, which this recommendation is not,” said Geoff Parker, the Council’s CEO. Mr Parker said the Australian beverages industry had “long recognised it has a role to play, along with other stakeholders, in addressing the complex and multi-factorial issues of overweight and obesity”. He said the industry had taken “significant measures” to provide consumers with more information and developed “reformulated products to offer low- and no-sugar varieties”, as well as “voluntarily displaying kilojoule information on the front of labels and restricting sales of regular kilojoule soft drinks in schools”. The International Council of Beverages Associations (ICBA), of which the Australian Beverages Council is a member, has also criticised the conditional recommendation that a further reduction of free sugars intake to 5 per cent of total daily calorie intake could have “additional health benefits”. The ICBA said it was “disappointed” that the WHO had confirmed the conditional recommendation, “as it does not reflect scientific agreement on the totality of evidence”. Professor Mark Wahlqvist, Emeritus Professor of Medicine at Monash University and Director of the Fuli Institute at Zhejiang University, China said the WHO report on free sugars and health made it “much clearer that the principal concern about their excess is what they do to the overall quality of the diet at all ages”. “When in excess, free sugars reduce the potential to achieve the dietary diversity we need for optimal health,” Professor Wahlqvist said. “Some sweetness in the diet can help achieve diversity, but that is best coming from a variety of fruits, not fruit juices or extracts. “The food structure of plant foods is important for health, even when naturally-occurring sugars are present – and reduces the risk of obesity, diabetes and some cancers – free sugars do not,” Professor Wahlqvist said. Bill Shrapnel, consultant nutritionist and an advisor to the Sugar Research Advisory Service, said the WHO review’s “evidence-based recommendations are a welcome counter to the hysteria about sugar being whipped up in the media, mostly by people with no qualifications in the science of nutrition”. “I encourage those people to read the WHO report,” Mr Shrapnel said. Mr Shrapnel said the recommendation of limiting free sugars be limited to 10 per cent of daily calories was “reasonable”. “Average adult intakes of free sugars in Australia are currently about 10 per cent of calories; in children the figure is a little higher,” Mr Shrapnel said. “So the overall message is that some people need to cut down their sugar intake a bit,” he said. Mr Shrapnel highlighted that the WHO review also found that intake of sugar-sweetened beverages was associated with body weight, consistent with the reviews undertaken for the Dietary Guidelines for Americans and the Dietary Guidelines for Australians. “As these beverages are typically low in nutrients they are the logical target to achieve sugar reduction in those with high intakes,” Mr Shrapnel said. “Replacing sugar-sweetened beverages with drinks containing non-nutritive sweeteners is an effective way of lowering sugar intake, without the challenge of behaviour change,” he said. “We have solid evidence that keeping intake of free sugars to less than 10 per cent of total energy intake reduces the risk of overweight, obesity and tooth decay,” said Dr Francesco Branca, Director of WHO’s Department of Nutrition for Health and Development. “Making policy changes to support this will be key if countries are to live up to their commitments to reduce the burden of noncommunicable diseases,” she said. Free sugars refer to monosaccharides (such as glucose, fructose) and disaccharides (such as sucrose or table sugar) added to foods and drinks by the manufacturer, cook or consumer, and sugars naturally present in honey, syrups, fruit juices and fruit juice concentrates. The WHO guideline does not refer to the sugars in fresh fruits and vegetables, and sugars naturally present in milk, because WHO said there was no reported evidence of adverse effects of consuming these sugars. According to WHO, much of the sugars consumed today are “hidden” in processed foods that are not usually seen as sweets. For example, WHO said 1 tablespoon of ketchup contains around 4 grams (around 1 teaspoon) of free sugars. A single can of sugar-sweetened soda contains up to 40 grams (around 10 teaspoons) of free sugars. WHO said worldwide intake of free sugars varies by age, setting and country. In Europe, intake in adults ranges from about 7-8 per cent of total energy intake in countries like Hungary and Norway, to 16-17 per cent in countries like Spain and the United Kingdom. Intake is much higher among children, ranging from about 12 per cent in countries like Denmark, Slovenia and Sweden, to nearly 25 per cent in Portugal. There are also rural/urban differences. In rural communities in South Africa intake is 7.5 per cent, while in the urban population it is 10.3 per cent. WHO said the recommendations were based on analysis of the latest scientific evidence. This evidence shows, first, that adults who consume less sugars have lower body weight and, second, that increasing the amount of sugars in the diet is associated with a weight increase. In addition, research shows that children with the highest intakes of sugar-sweetened drinks are more likely to be overweight or obese than children with a low intake of sugar-sweetened drinks. The recommendation is further supported by evidence showing higher rates of dental caries (commonly referred to as tooth decay) when the intake of free sugars is above 10 per cent of total energy intake compared with an intake of free sugars below 10 per cent of total energy intake. Based on the quality of supporting evidence, these recommendations are ranked by WHO as “strong”. This means they can be adopted as policy in most situations. Given the nature of existing studies, the recommendation of reducing intake of free sugars to below 5 per cent of total energy has been presented as “conditional” in the WHO system for issuing evidence-based guidance. The WHO said new epidemiological studies have been undertaken in populations with a low sugars intake. Only three national population-wide studies allow a comparison of dental caries with sugars intakes of less than 5 per cent of total energy intake versus more than 5 per cent but less than 10 per cent of total energy intake. These population-based ecological studies were conducted during a period when sugars availability dropped dramatically from 15kg per person per year before the Second World War to a low of 0.2kg per person per year in 1946. This “natural experiment”, which demonstrated a reduction in dental caries, provides the basis for the recommendation that reducing the intake of free sugars below 5 per cent of total energy intake would provide “additional health benefits” in the form of reduced dental caries. Updating the guideline on free sugars intake is part of WHO’s ongoing efforts to update existing dietary goals to prevent NCDs. The WHO said sugars guidelines should be used in conjunction with other nutrient guidelines and dietary goals, in particular those related to fats and fatty acids, including saturated fat and trans-fat. Reducing free sugars intake to less than 10 per cent of total daily energy intake was recommended by the WHO Study Group for the first time in 1989 and was further elaborated by a joint WHO/FAO Expert Consultation in 2002. This new updated WHO guideline calls for further reduction of free sugars intake to less than 5 per cent of total energy intake if possible. Mars Food says it will be changing its foods to make them healthier for consumers.